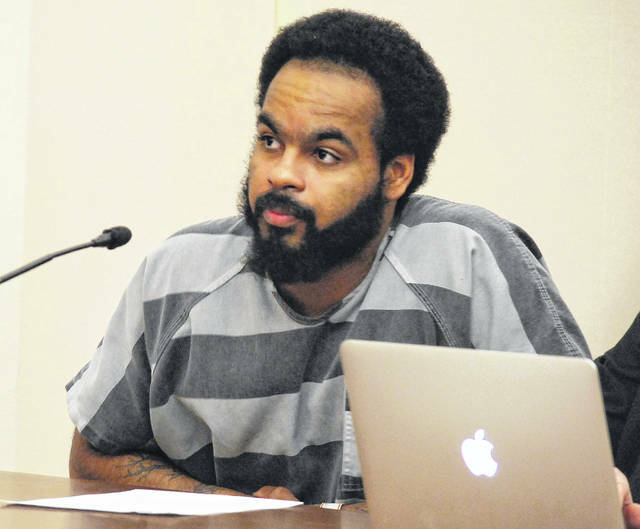 Kiarris Laws, 27, of Lima, waived his constitutional right to a speedy trial during a court hearing Tuesday morning in Allen County Common Pleas Court. Laws is scheduled to stand trial on April 9 on kidnapping, robbery and weapons charges. LIMA — A Lima man is tentatively scheduled to stand trial in April on multiple counts of kidnapping, robbery and weapons charges. Kiarris Laws, 27, appeared briefly in Allen County Common Pleas Court to waive his constitutional right to a speedy trial. A jury trial for Laws had been scheduled for Feb. 26, but defense attorney Steve Chamberlain said additional time is needed to prepare his client’s case. Laws in open court agreed to waive his right to a speedy trial, and Judge Jeffrey Reed rescheduled his trial for April 9. A pre-trial hearing was slated for March 18. Laws was indicted in January by the grand jury on one count of aggravated robbery with a firearm specification and a specification as a repeat offender, a first-degree felony; three counts of kidnapping, first-degree felonies with specifications for the use of firearms and for being a repeat offender; and one count of having weapons under disability, a third-degree felony. Municipal Court Judge David Rodabaugh, upon motion by the state of Ohio, ordered the affidavit authorizing the arrest of Laws to be sealed “until further order of the court” and to not make the affidavit available for public inspection. The municipal court judge set bond at $500,000 cash/surety. Assistant Allen County Prosecuting Attorney Jana Emerick declined to discuss the specifics of the case during Tuesday’s hearing but said there were “multiple victims” in the incident in question.